At Dominate Athletic™ we employ a training philosophy that combines intelligent programme design with hard work and fun to produce superior athletic performance. Our facility is located in Bergvliet which is a suburb of the beautiful city of Cape Town, South Africa. Come and join us to see the results firsthand! For more information email Graham from our Contact Us page. 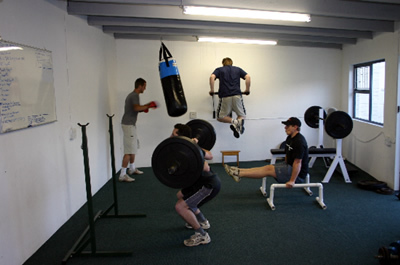 DOMINATE ATHLETIC™ is a specialised Athletic Performance Coaching Company based in Cape Town, South Africa. © 2019 Graham John Dean t/a Dominate Athletic™ All Rights Reserved.